photo-eye Gallery Photo Objects & Small Prints: David H. Gibson, Rachel Phillips & Curtis Wehrfritz David H. Gibson, Rachel Phillips & Curtis Wehrfritz discuss their work in photo-eye Gallery's Photo Objects & Small Prints exhibition. 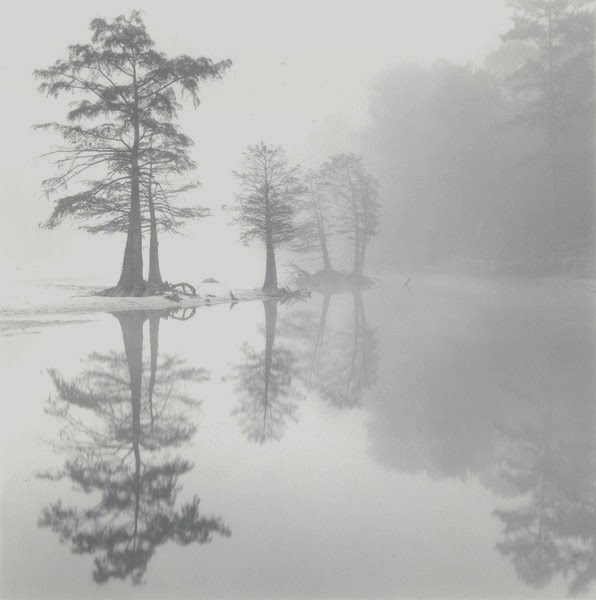 For our third installment, we're featuring the works of three photographers in our current exhibition at photo-eye Gallery, Photo Objects & Small Prints. This week, I've asked David H. Gibson, Rachel Phillips and Curtis Wehrfritz to discuss their work in the show. Read more about the work in this show here and here and stay tuned for more next week. 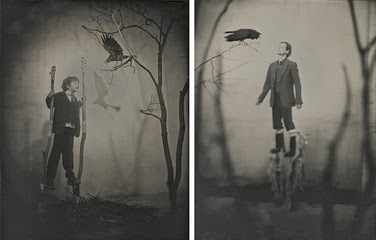 "The photographs in exhibition are made in the moments before sunrise - or just after. I am drawn to the edges of ponds, lakes, and streams when the warm water interacts with cool morning air. This condition produces wispy mist, rising fog, or sometimes a blanket of fog. Atmospheric forms evolve in unexpected ways from quiet movements in the air. The tonal range is continuous, with even transitions from the very lightest areas to those of greatest contrast. 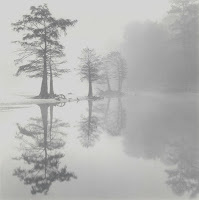 The light is quiet, and the mist and fog add a comforting presence. This is where I find poetry and magic in the land." "This series of photographs blends the domesticity of home with the joy of wilderness, the natural world. The paper houses and figures are built and cut from letters, postcards and envelopes saved through the decades in old shoeboxes by my grandparents and discovered in their attic a few years ago. 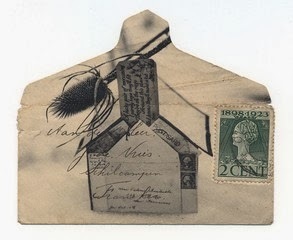 The images are printed on old envelopes collected from around the world; artifacts from the last centuries. What did the envelopes contain? Where did they come from? In whose mailbox were they delivered? What stories do they tell?"